The Marbury Vs. Madison, 5 U.S. 137 (1803) [read full judgment] case was a landmark decision in the implementation of Judicial Review which laid the foundation of this concept in the United States. It dates back to November 1800 when Thomas Jefferson was voted as the 3rd president of USA. But he would not assume office until March, 1801. This enabled president Adams to appoint new govt. officials before the new president take office. Jefferson was a Democrat-Republican but Adams was a Federalist. So the ‘Lame Duck’ congress took the opportunity to pass the Judiciary Act of 1801. These ensured additional federalists would be in powerful positions in the new govt. According to the plan Adams appointed 16 Federalist Circuit Judges & 42 Federalist Judges who were all called as ‘Midnight Judges’ (i.e., the last minute appointment). One of them was Willium Marbury who was named as Justice of Peace for the district of Columbia. When Thomas Jefferson started office, his Secretary of State, James Madison, did not deliver the official paper works to the ‘Midnight Judges’. Thus, they, including Marbury, were denied their new jobs. As a result, Marbury petitioned for a writ of mandamus to force Madison to deliver the commission. 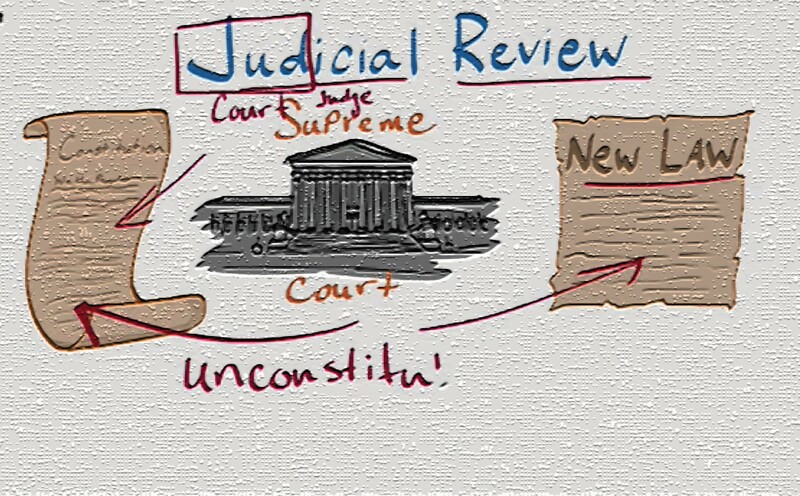 Meanwhile, Chief Justice, John Marshall, denied the petition and refused to issue the writ of mandamus, even though section 13 of the Judiciary Act of 1789 gave the Supreme Court authority for such writs to be issued, as the Article 3 of the USA Constitution does not recognize the power to force actions of the govt. officials.